This four-tonne beast recently appeared next to Marble Arch. As a wise man once said, "What the actual f*ck?" The menacing miscreation is the work of artist Dashi Namdakov. Here he is, standing before the work, known as She Guardian. A deeply mystical and fantastical sculpture, She Guardian is a powerful feline defender with blade-sharp wings that rear menacingly behind her back. Her snarling jaws and ready claws speak of a primeval urge to attack anyone who might threaten those she protects. 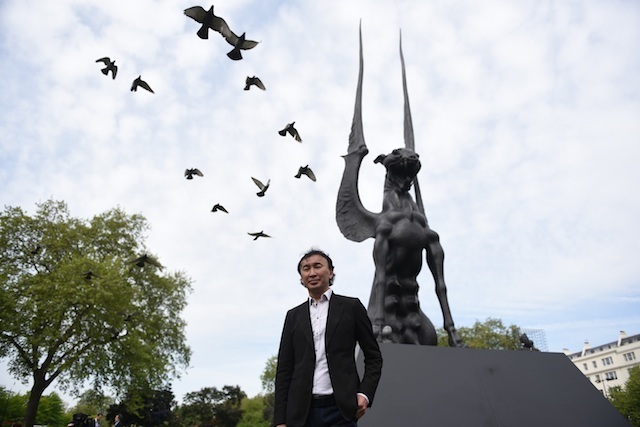 The piece replaces the equally menacing likeness of an equestrian Genghis Khan, also by Namdakov. 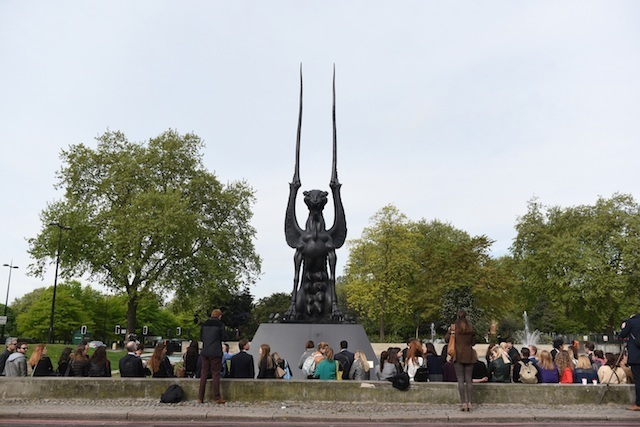 She Guardian was commissioned by Halcyon Gallery and Westminster City Council for the Westminster City of Sculpture programme.